Fad diets seem to be a constant health topic. Being a nutritionist most might assume that I am against all fad diets and do not recommend them. For the most part, I don't think fad diets are the best way to go, however, I do think they can be very beneficial to some people and they have their place. So what is a definition of a fad diet. I think it depends on the person. Every diet is marketed as an eating plan for life. Even those with phases usually still emphasize long term strategies to keep you on track. When doctors and nutritionists (or whoever) formulate diets, for the most part I do not think they intend to have it be for a limited amount of time and then the dieter goes back to eating the same exact away as before. The hope is that someone will start following their (the diet formulators) diet and change their (the dieters) life. So for my definition a fad diet is one that tends to come and go (but not always) and that people do for a short amount of time before going back to their regular way of eating. Which means that a fad diet to one, may be a way of life for another. Whether it be paleo, atkins, whole30, South Beach, GAPS, the low FODMAP diet, WW, or the countless others, each of these diets have their place. And each have some pros and cons. Since we always hear more about the cons I will start there. Portion control - many of these diets focus on how much to eat and teach the dieter to be mindful of the amounts they are putting in their mouth. Times to eat - another mindful habit, realizing when you are eating, when you are snacking, when you are hungriest. These diets can create a new awareness. Food allergies - Sometimes, when the dieter removes a food and starts to feel better, they might be discovering a food allergy they were unaware of before. Food sensitivities - Similar to an allergy, food sensitivities may be discovered. Meal Planning - I think this might be one of the most difficult things about eating. I think this is also why many people do not stick to healthy eating consistently. Meal planning is a great way to stay on track to meet your health goals. But not enough people do it. When you try out a new diet, you usually plan out your meals and snacks so that you stay on track with the diet. Learning to meal plan is a great "side effect" of diets. There may even be others I have not thought of. 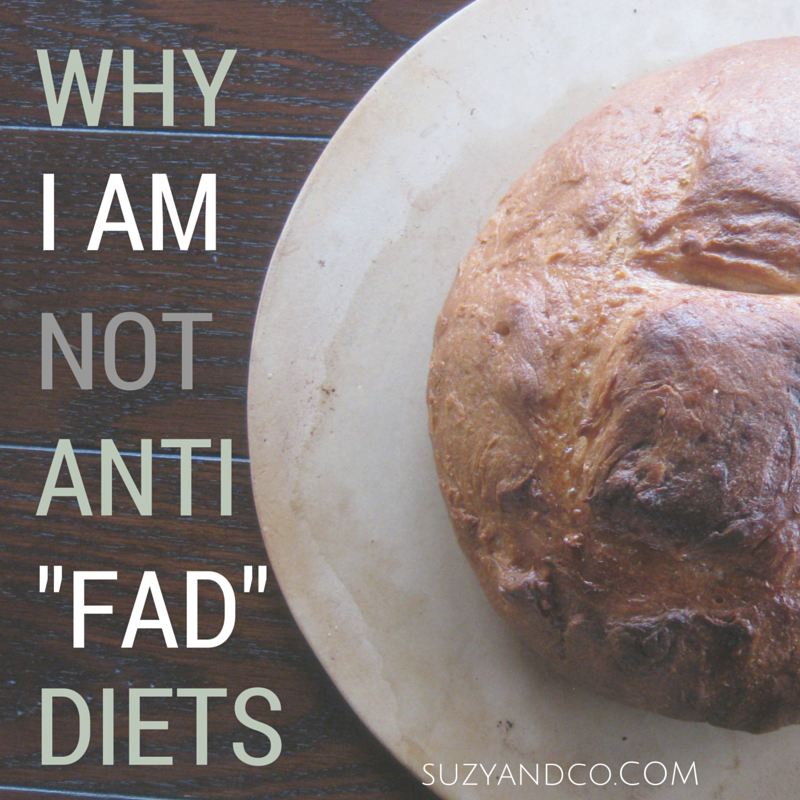 So you should start a "fad" diet? Some things to think about if you are considering starting a new diet. I would not do it just to lose weight. If that is your only goal, you might not be being honest with yourself on how a diet will improve so much more than just weight. Look at the diets and see which make the most sense to you. Which diet will help you the most? Which diet will best fit into your life? Which diet will teach you the most? If you do decide to do some type of diet (and again I am not saying you should or shouldn't, only you can decide that for yourself) don't just read one article or ask a friend. Get the book if there is one, go to the website for the actual diet, go to a meeting if they have one. Then commit to doing it for more than a week and track how you feel, what you like, what you don't like, any changes in your energy levels, aches and pains, budget. Don't just track your weight. If you want to change your healthy for the better, you might have to try something different. 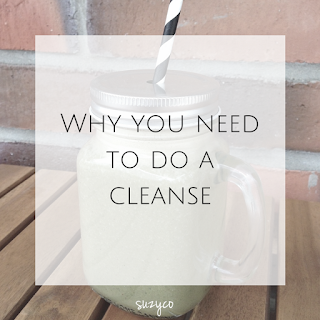 If you are thinking about doing a detox - check out my Why you need to do a cleanse video to see if it is right for you.